INASP’s AuthorAID MOOCs has been shortlisted for the ALPSP Awards for Innovation in Publishing. As part of this, INASP will present a ‘flash session’ about AuthorAID MOOCs at the ALPSP international conference in Noordwijk, The Netherlands on 13-15 September 2017, where the winner of the award will also be announced. The ALPSP Awards recognize new developments, products, services, launches or projects that demonstrate excellence in terms of originality and innovation, significance and value to its community, utility and long-term viability. “We are delighted to be shortlisted for the ALPSP awards this year. It is great to know that all of the hard work that goes into AuthorAID’s online courses is being recognized, and it always great to showcase the support we provide to Southern researchers – particularly in the year of our 10th anniversary,” says Jennifer Chapin, Programme Manager, Research and Communication, AuthorAID. Most research is published in the global North but many of the world’s most urgent problems are found in the global South. However, researchers in developing countries face many challenges in communicating their work. This is a challenge that INASP has been addressing through its AuthorAID project for 10 years. 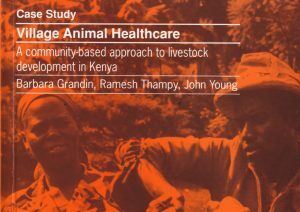 In recognition of the scale of the need, and building on the experiences and connections made through face-to-face courses and AuthorAID’s online mentoring programme, AuthorAID launched a series of free research-writing MOOCs in 2015. 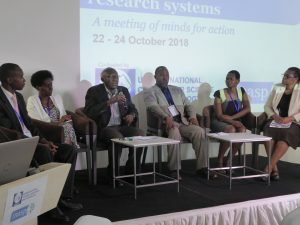 Thousands of early-researchers in the developing world have already benefitted from support in writing up their research and sharing it with a local and global audience. AuthorAID’s current MOOC has attracted over 4,000 participants with a high completion rate (over 50%). “These courses are particularly good at supporting harder-to reach groups, including female academics and those in fragile and conflict states. Such support is essential for ensuring equity in global research,” says Jennifer. 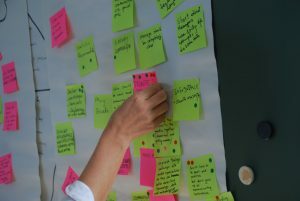 In November 2015, in response to the scale of the need identified for research-writing support and positive feedback from pilot online courses, AuthorAID MOOCs were launched using the open-source Moodle platform. AuthorAID runs two English-language MOOCs annually, as well as MOOCs in Spanish for Latin American researchers in partnership with Latindex. Each MOOC has attracted several thousand participants and benefitted from a worldwide network of dedicated volunteer facilitators drawn from AuthorAID’s pool of mentors and institutional partners. With expert speakers and a wide ranging programme, the annual ALPSP International Conference is a key event in the scholarly publishing calendar. AuthorAID is INASP’s free, pioneering, global network that provides support, mentoring, resources and training for researchers in low and middle income countries. INASP’s work is funded by DFID and Sida.